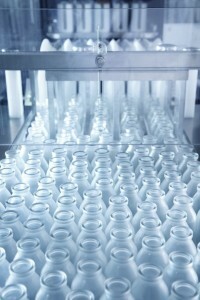 Huffman Engineering has worked within the life sciences industry for over two decades. During this time, regulatory requirements and consumer demands have changed, and Huffman Engineering has maintained a high level of standards during the growth in compliance demands. From troubleshooting support, to turnkey solutions, Huffman Engineering Inc. is able to deliver. Our detailed approach to equipment and process control systems from conceptual design to installation, validation/qualification, and support, results in a high quality complete solution. We understand detailed commissioning and qualification life cycle documentation is crucial in satisfying regulatory requirements. Our project methodology assures that both customer and regulatory requirements are identified, incorporated during the design phase, and verified during the testing phase. In addition, we understand the importance of engineered safety controls and incorporate them into the design of a system. Huffman Engineering has become a reliable partner to pharmaceutical and life science customers, bringing an understanding of the industry and requirements to every project. We strive to understand and work with customers to meet their specific needs through the proper technologies and a flexible and knowledgeable approach.